A pair of stylish Art Deco engine turned oval cufflinks in 9ct rose gold. 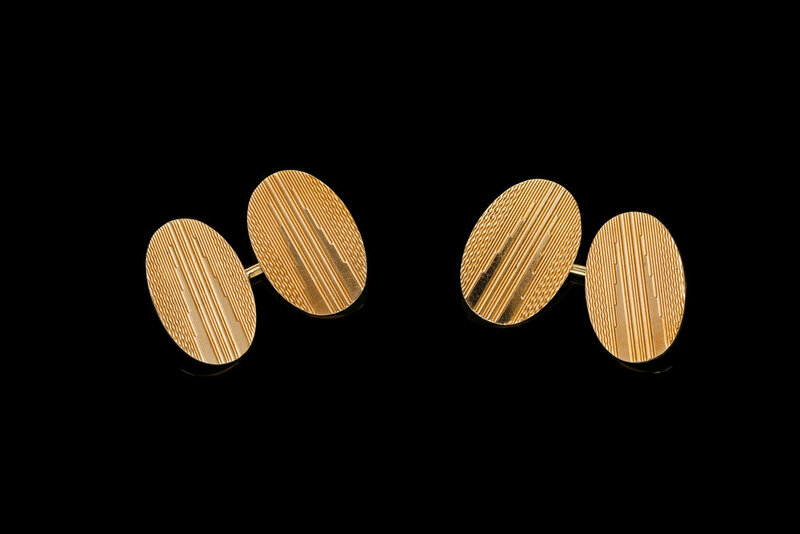 Each cufflink is comprised of two flat oval shaped plaques with decorative engine turned geometric patterns resembling the Chrysler building in New York City, fitted to reverse with a secure bale and solid linear bar connecter. Marked full English hallmarks for 1921.